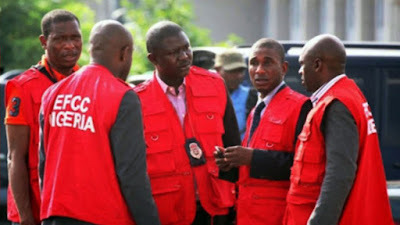 A panicky source disclosed that he has been keeping a low profile to avoid the prying eyes of the EFCC. "I have parked my car at a safe place. I'm not using it until the EFCC reduces its tempo of arrests. I can't even use the bank to obtain money from my clients. I have also being avoiding beer parlours because one doesn't know who is who presently," he said. It was learnt that some Yahoo Boys have been taking up menial jobs temporarily to hoodwink the EFCC operatives who they believe are operating undercover in Ibadan. "I can't drive my new car around town. The street is not safe. These guys (EFCC operatives) are ruthless. They will seize all your properties and still parade you. I can't stand the disgrace of having my pictures on social media pages and blogs with the tag of a 'Yahoo Boy'. In fact, I don't leave my house unless the reason is important. That's how we are surviving now," he concluded. "This EFCC guys are not joking, there raids are done with so much accuracy. The house they raided around the Ologuneru area last week was close of mine. I almost rented an apartment there but I changed my mind. Just last week, I was apparently running helter skelter with my friend because they were at strategic locations in town and we had to avoid them," he said. "We have seen this before now, it happened early last year in Lagos and many of my friends had to leave the Island area to avoid arrest and asset seizure. Today, the guys have returned to their homes and they are working freely,"one young man named Haruna said. "Its very difficult to bribe these guys. They will dig out everything you are hiding. Even if they will set you free, they will make sure they strip you n*ked financially," he added.